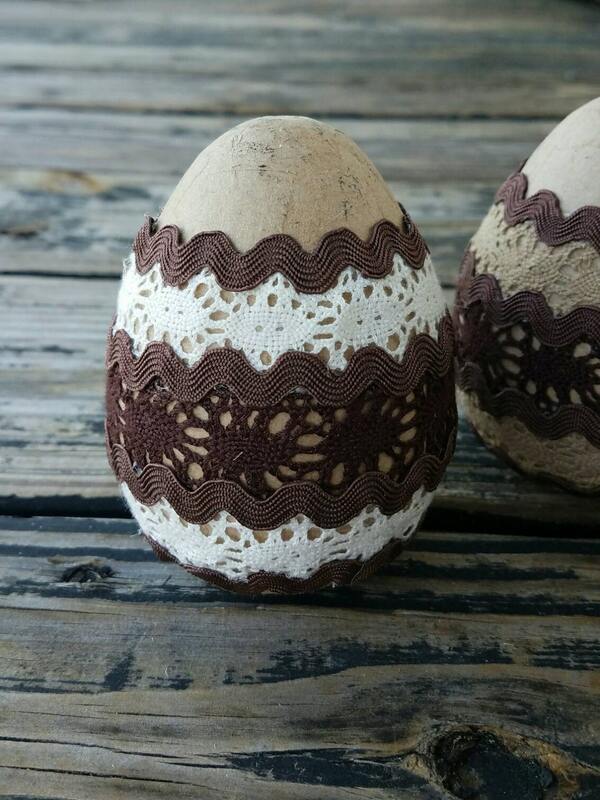 I love Easter eggs and these lace trimmed eggs are perfect for a rustic, farmhouse touch. 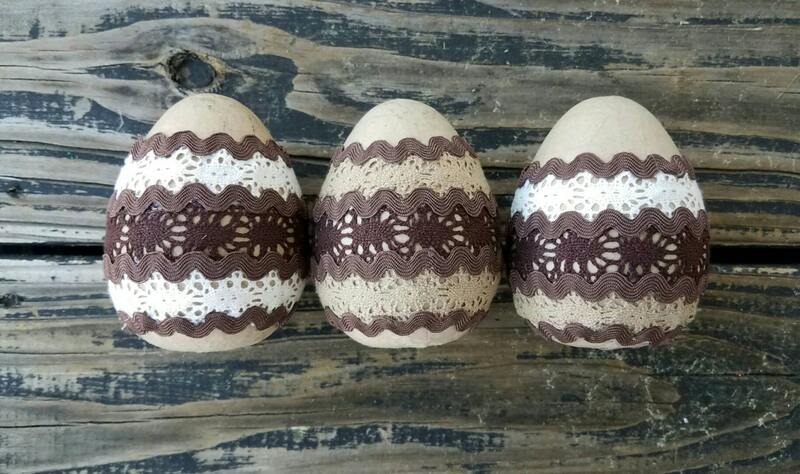 Add them to your Easter Egg Tree or place them in a vase on your dining room table. 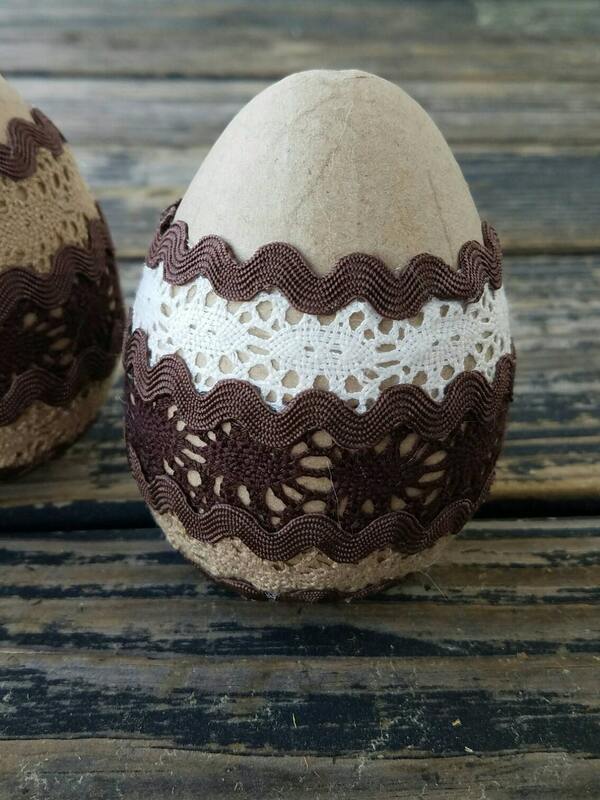 If you are feeling adventuresome make a wreath or swag incorporating these beautiful eggs. Scatter them across your fireplace mantel or display them in a bowl on your foyer table. 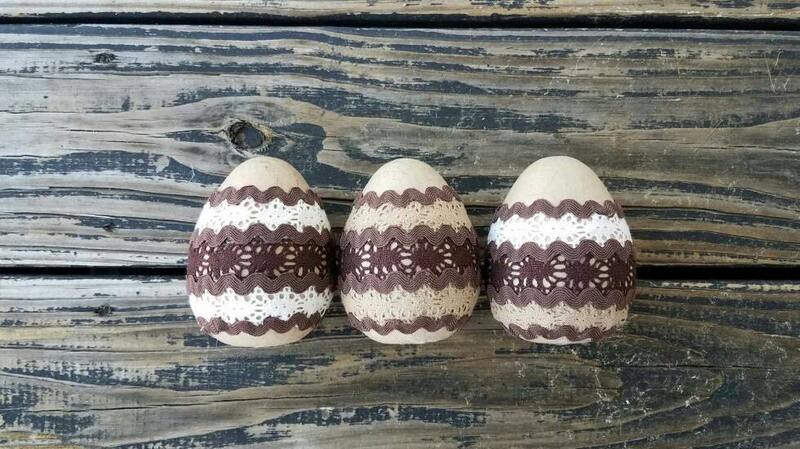 You will receive a set of three eggs, like the ones in the photo. 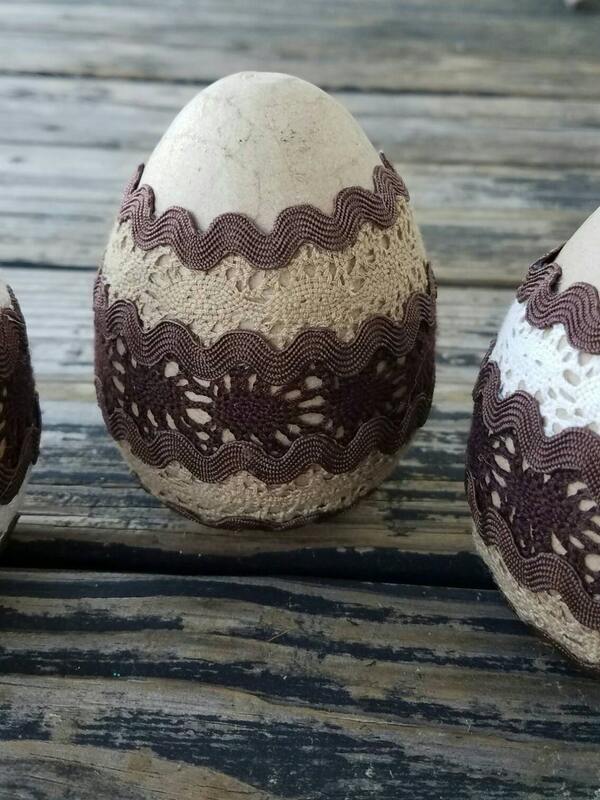 Each egg is decorated paper mache measuring approximately 4 inches by 2.5 inches with a flat bottom.